LAURA LOUISE HAYNES: O U T F I T | Flowers and Fringing. 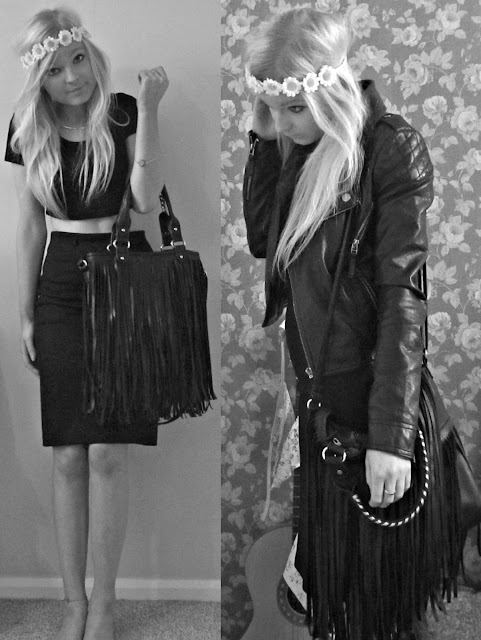 O U T F I T | Flowers and Fringing. Primark headband, Miss Selfridge Jacket, Topshop crop, internacionale Skirt, La Moda bag, Ebay necklace, Primark bracelet (here used as a anklet), Rock 'N' Roses bracelet and ring. I want a collection of floral headbands, I adore them. Just headed into town with my mum today and ever so casually picked up an iphone 5. The last 4 photo's were used by my iphone's camera and I am incredibly happy with the standard of it ! Better than my actual camera. Can you get tripods for phones? Not even joking. 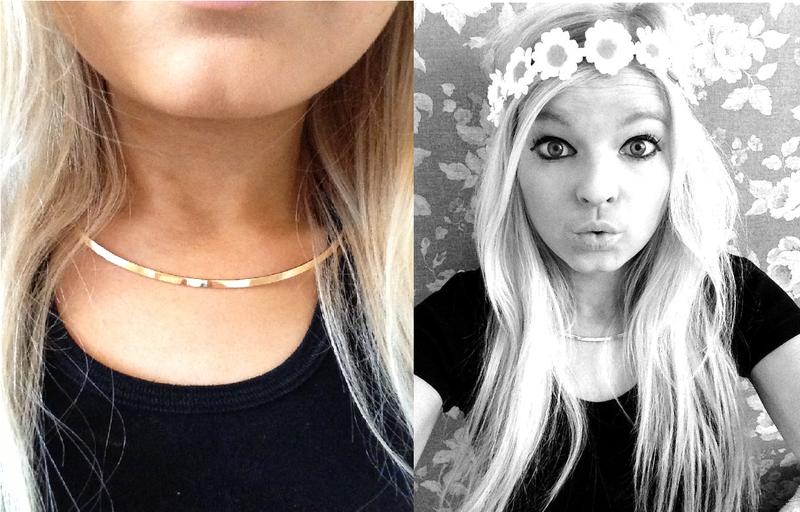 I just wore a simple outfit really consisting of black, but brightened it up with the daisy headband. I really am loving the whole matching of tops and bottoms at the minute, so I thought I would go for that kind of look today. I really want some proper co-ords though. My skirt looks like it is sitting funny on me in the photo but I swear in real life it looks better. And yeh, I think the look comes together with my fringed bag. So not a bad outfit for just popping into town, even though it rained and I had bare legs, but thank god for umbrellas.